Last weekend my friend Val had a gender reveal party for her second baby. You may remember the cake that I made for her first party HERE! 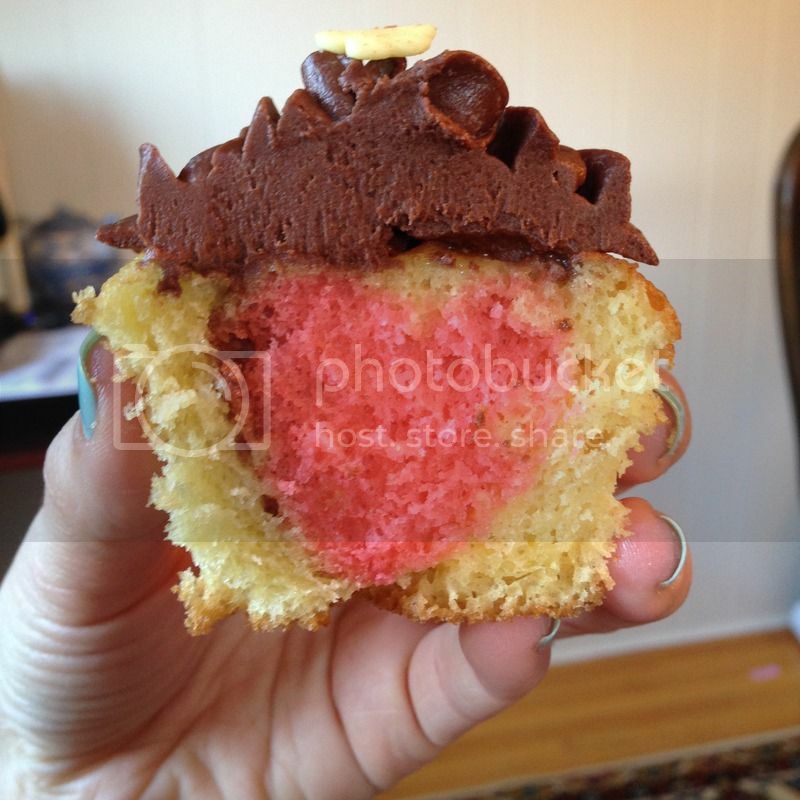 First little one was a girl, and as you can see from the cupcake above, this one is going to be a girl as well! I'm so excited for them! For the actual gender reveal surprise, they ordered a gigantic black balloon that came with either pink or blue confetti. I filled the balloon with the appropriate confetti color and just took it to Party City the morning of her party to get it filled. Super easy and it was really adorable! Even though the balloon was the actual surprise, the baker in me wanted to do a little something extra. I found this tutorial on Pinterest that came from the blog Dessert Now Dinner Later, and it seemed like the perfect dessert to bring to the party. It was a little time consuming: baking the pink cake, cutting the hearts out, placing them in the cupcake liners, filling with batter, and then baking the cupcakes. They turned out adorable, though, and I was really impressed that it still looked like a heart after it was baked!